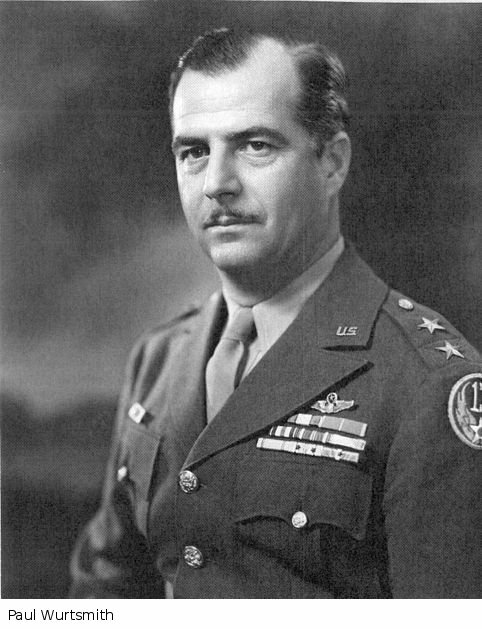 The Pacific War Online Encyclopedia: Wurtsmith, Paul B.
Paul Wurtsmith was a veteran aviator with 4800 hours of flying time in fighters when he assumed command of 49 Pursuit Group early in the Pacific War. 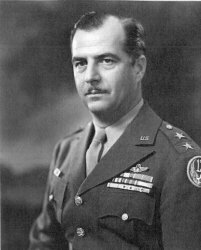 An energetic leader, he achieved high availability of the P-40s under his command through emphasis on ground crews, and he inaugurated post mortem conferences after every mission to evaluate Japanese air tactics and improve those of his own pilots. Wurtsmith commanded 5 Fighter Command throughout the drive from New Guinea to the Philippines.